Juno Salazar Parreñas’ ethnographic research speaks to feminist science studies, environmental humanities, critical development studies, and global political economy. Her book, Decolonizing Extinction: The Work of Care in Orangutan Rehabilitation, will be published by Duke University Press in late summer 2018 and examines the question of how are we to live and die in this current age of extinction when colonial legacies help determine who and what are in better positions to survive. She is the editor of Gender: Animals (Macmillan Interdisciplinary Handbooks) which was published in 2017. 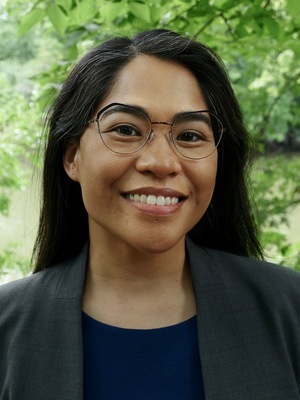 Her article, “Producing Affect: Transnational volunteerism in a Malaysian orangutan rehabilitation center,” received the 2013 General Anthropology Division’s Exemplary Cross-Field Scholarship Prize, which is one of the American Anthropological Association’s largest prizes for an article. She is also a featured columnist in the Los Angeles based monthly magazine The Lesbian News. Hear her discuss decolonization, extinction, the Anthropocene, and wildlife conservation with the sound artists Island Songs (Nicolas Perret & Silvia Ploner) on their soundscape project YNK, which was featured in the Documenta 14 art exhibition radio program and broadcasted in Berlin on SAVVY-Funk, in Kassel on FM, and streamed internationally online on Deutschlandfunkkulture. Gender: Animals, Macmillan Interdisciplinary Handbooks. Farmington Hills, MI: Macmillan Reference USA. 2017. “The Materiality of Intimacy: Rethinking ‘Ethical Capitalism’ through Embodied Encounters with Animals in Southeast Asia.” Scheduled for Volume 24, Issue 1. Positions: Asia Critique. January 2016. "Multispecies Ethnography and Social Hierarchy." Engagement: a Blog Published by Anthropology and Environment Society of the American Anthropological Association. September 15, 2015. "Chen: Animacies: Biopolitics, Racial Mattering, and Queer Affect" American Anthropologist. Book review. Volume 115, Number 3, p. 519. September 2013. “Producing Affect: Transnational volunteerism in a Malaysian orangutan rehabilitation center.” American Ethnologist. AE Forum, with commentary by Danilyn Rutherford. Volume 39, Issue 4, pp. 673-687. November 2012. Le Primate comme Sujet (Primate as Subject). Laboratoire d'Anthropolgie Sociale. Collège de France. Paris, France. Symposium. May 2018. Captivity. Center for Diaspora and Transnational Studies. University of Toronto. Canda. March 2018. Decolonizing the Plan II. Max Planck Institute for the History of Science working group seminar. Berlin, Germany. June 2017. Volatile Futures, Earthly Matters. Center for the Advancement of Public Action. Bennington College. Symposium. May 2017. How Nature Works. School for Advanced Research Advanced Seminar. Santa Fe, New Mexico. September 2016. Certificate of Distinction in Teaching, Faculty of Arts and Sciences, Harvard University, Fall 2010. PhD, Anthropology, Harvard University, 2012. MPHIL in Cultural Analysis, University of Amsterdam, 2002. BA, Women’s Studies with Highest Honors, UC Santa Cruz, 2001.